Welcome to Riverside, where the aristocratic and the ambitious battle for power in the city's ballroom, brothels and boudoirs. Into this alluring world walks Katherine, a well-bred country girl versed in the rules of conventional society. Her mistake is thinking that they apply. For Katherine's host and uncle, Alec Campion, aka the Mad Duke Tremontaine, is in charge here--and to him, rules are made to be broken. When Alec decides it would be more amusing for his niece to learn swordplay than to follow the usual path to marriage, her world changes forever. 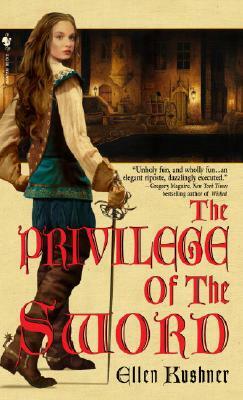 Blade in hand, it's up to Katherine to navigate a maze of secrets and scoundrels and to gain the self-discovery that comes to those who master: the privilege of the sword.